Very Good. 0571200338 ALL BOOKS SHIPPED WITHIN 1 DAY OF PURCHASE! Good. 0571200338 ALL BOOKS SHIPPED WITHIN 1 DAY OF PURCHASE! Good. Book. 12mo-over 6¾"-7¾" tall. Sylvia Plath's only novel. Reprinted. Faber & Faber Ltd 1968. iv + 258pp pb covers creased & discoloured, pages browned, previous owner's signature & writing on rep, good. A great read--I highly recommend it. Classics never die. The main character of this novel reminds me of the main character in "The Stranger", except that she has emotions. The book reveals society's insanity in trying to create a cookie cutter generation of females. The surrounding character's expectations of Esther Greenwood lead to her nervous breakdown and attempted suicide. The book is not intense, but it will keep your interest until the end. It was okay. A little mundane. It did keep my attention and completion of the story. Quite depressing and a little confusing at times. I purchased this book after reading Sylvia Plath's life journals and poetry. I was really surprised of how much a perfectionist that she really was. Her brilliant but sensitive mind was unique. She did not handle rejection well and seemed to really have a hard time fitting in at certain times. "very still and very empty" is the way the narrator described herself. It shows the more "real" life of the high fashion and society life. Could benefit teenagers that are considering this life style to read this book.. I recommend reading this book highly!..expecially if you are a Sylvia Plath fan.. 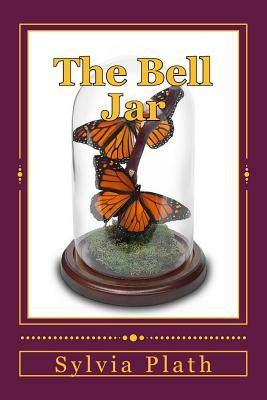 I read the Bell Jar more than thirty years ago. I read it before I knew the real, followup tragedy of Sylvia Plath. The Bell Jar gives a vivid picture of the artificiality of glamour in the fashion world and shows the conflict of values and self-esteem through the perceptions of young girl. In the book, the girl is named Esther, but she is Sylvia Plath's alter-ego. Esther has been an achiever and has won countless prizes for her talents, but in reality she is a fragile, unsure young woman. The book deals with her negativity and self-contempt..It deals with her attempt at suicide and her struggle with mental illness. In the book she has recovered. But Sylvia Plath made a second attempt at suicide a few years later. She succeeded this time.